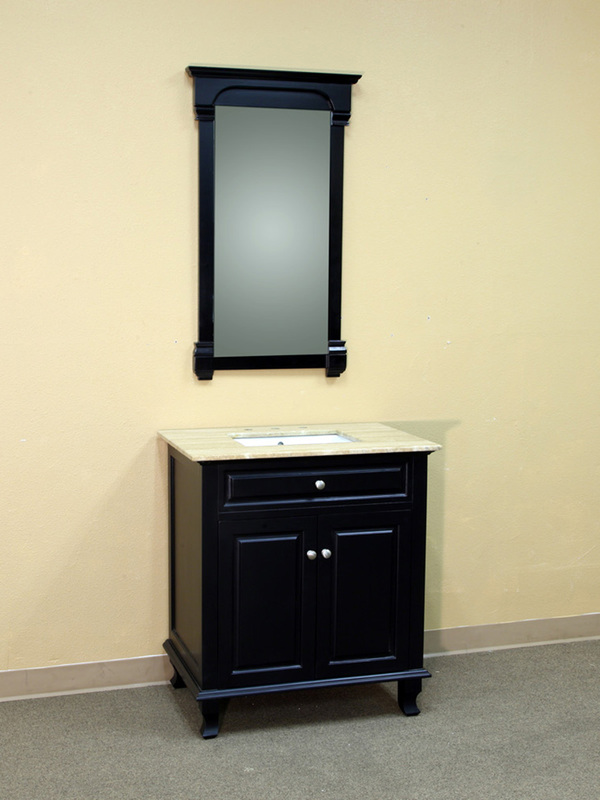 With its beveled trim, chamfered panels and curved legs, the Guilarte Single Vanity has a wonderful traditional design with a touch of modern simplicity. 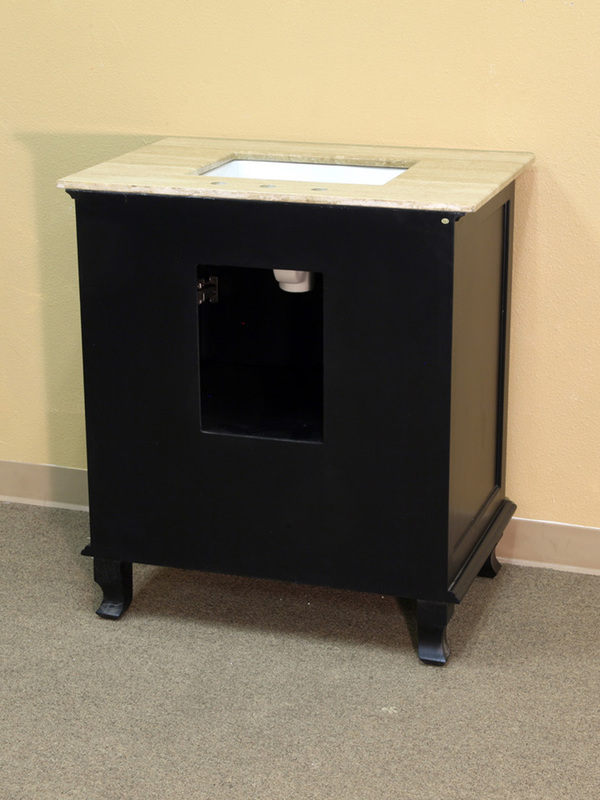 The vanity has a water proof black finish that protects the cabinet from the effects of humidity, preserving its form. 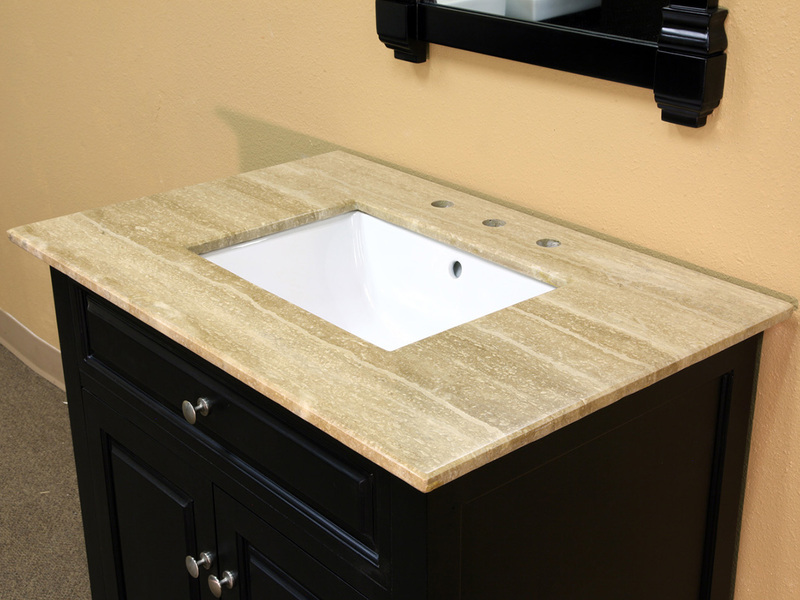 Two counter tops are available for this vanity; Travertine or Baltic Brown. 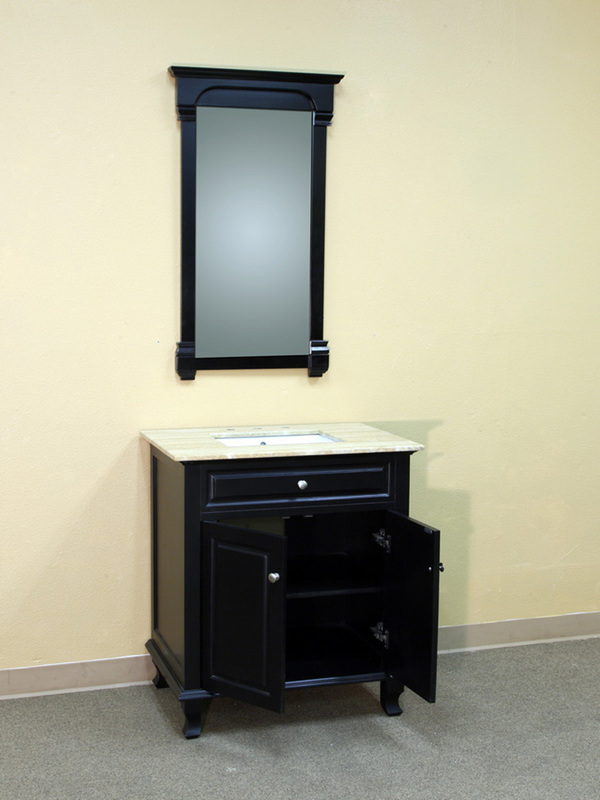 The vanity has a single cabinet for storing bathroom supplies and accessories, with a convenient interior shelf. 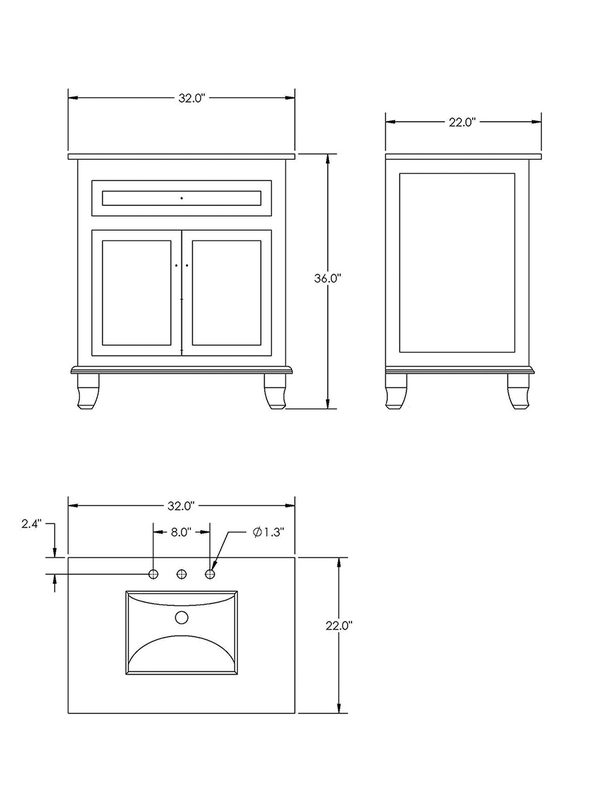 The cabinet door feature soft closing hinges for superior motion control. 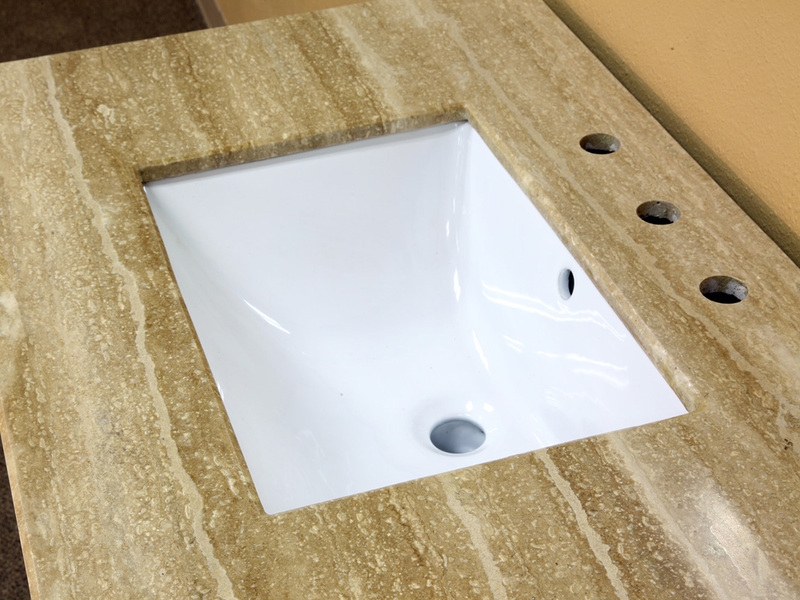 For either counter tops, an optional backsplash is available, as indicated in the drop down menu.